I should have known better. 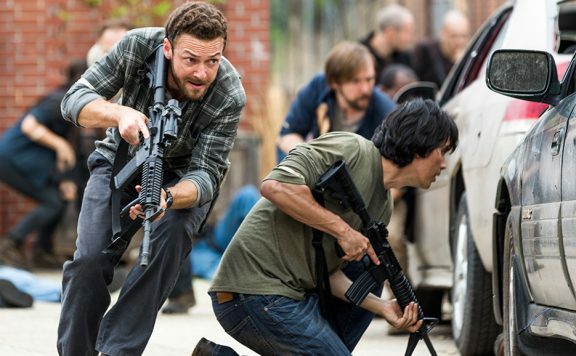 After last week gave me the sort of episode that kept me smiling due to all its machismo, here’s The Walking Dead coming at me with “Scars,” one of the darkest episodes of the entire series. 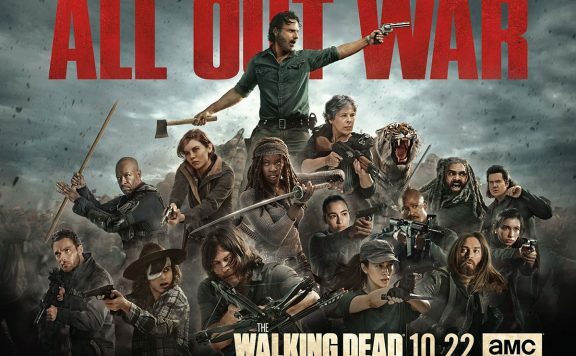 Rick shooting a zombie girl in the face was a start, Carl taking out a teenager was a sign of that boy ain’t being right, and Carol had Lizzie look at the flowers, but this week was different. Michonne, a character who has suffered plenty before when it comes to kids, is shown via flashback to have taken out a whole group of kids (with good reason), and it is pretty messed up to know that it’s right to praise this series for going that far. Yes, this crazy moment comes in the flashback portion of the episode, which is very much the most significant section this week. There’s the present-day material as well, but it suffers for a couple of reasons I’ll get to. As it stands, if we’re going to start getting closer to why Alexandria and Michonne are currently at odds with the other communities, this is a wild way to start digging into that information. The setup is pretty solid, as it preys on things that should seem benign to a degree. Yes, Michonne happening upon her old friend Jocelyn (Rutina Wesley) automatically sets off alarms, as we know she’s nowhere to be found in the current timeline, but where this part of the episode initially takes us seems like a harmless enough concept. 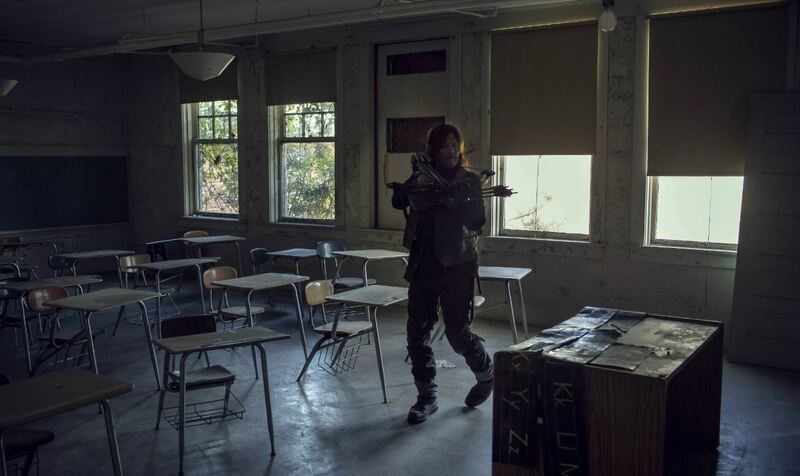 What if one person had been collecting kids who lost their parents for the sake of keeping spirits up in a way, training them to be ready for the walker-filled world? That’s an idea I can understand, given the world these characters live in. I am also not one to think I should be worrying about how evil kids can be. That’s, presumably, how most are. Indeed, when it comes to TV and movies, we don’t look at a group of kids thinking they could be wildly off the rails. It’s all the more notable that “Scars” presents these children as ones who know they are playing innocent, leading to the shocking turn of events that shows how brainwashed they genuinely are. By the time Michonne has found the kids and is trying to locate Judith and the other Alexandrian children, I was still on the fence on what was going on with them. Sure, one shot Daryl in the shoulder with an arrow, but the following scene had Jocelyn telling one kid how to brand them both. That’s crazy behavior, but maybe she had only a couple under her spell, with the rest kind of going along with it. 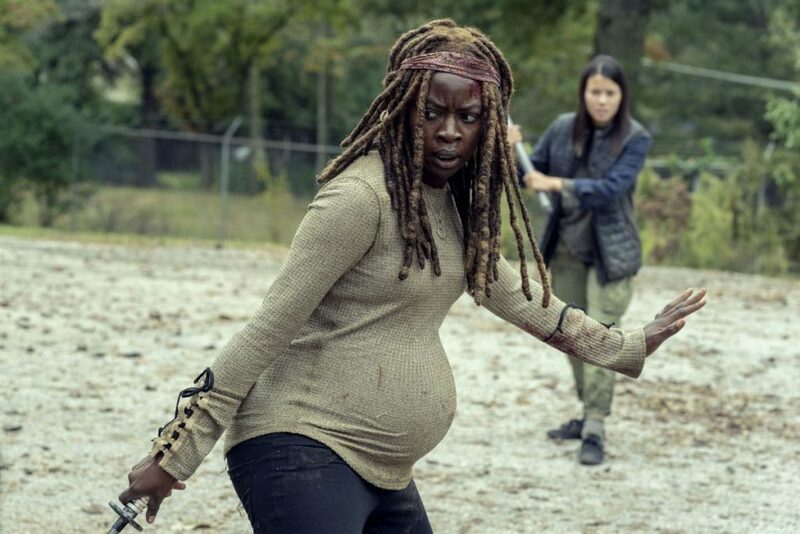 The real shock was when one of the kids sliced Michonne’s very pregnant belly. That’s not something you see all the time, and at that point, I knew where this was all going. Now, it didn’t take me out of the episode to know Michonne was about to kill a bunch of children, but I did get to evaluate what I saw in a new way. In addition to gaining an understanding of what Michonne has gone through and how this could lead to an explanation for the community relationships (which gets expanded upon in the episode a bit later), it became interesting to think of how Danai Gurira was playing this role. Along with Norman Reedus, Gurira has been tasked with becoming one of the main leads of this series, now that Rick is gone. 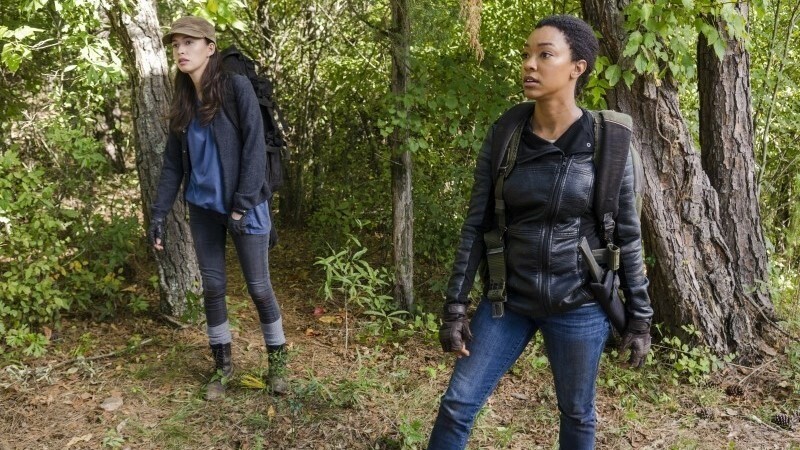 The early post-Rick episodes struggled by moving around between characters, particularly ones we hardly know while leaving people as compelling as Michonne and Carol in the background. 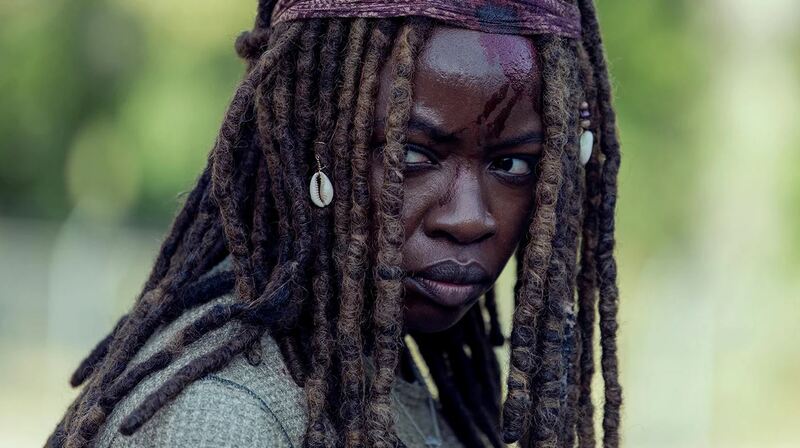 “Scars” is a chance to show what Gurira can bring when not as sidelined as she has been for the past couple of seasons. Seeing both the flashbacks and the present-day material give her a chance to interact with various characters and react to the craziness around her really shows what she, along with the other actors can give to this series when allowed to process the difficulties thrown at them. When focused on the present-day, there’s a little left to be desired. The point of “Scars” is to dig into Michonne and part of what has taken place in the several-year gap that we jumped over. Lining up this flashback with Judith’s attitude toward Michonne had me feeling mixed. The problem is simple. 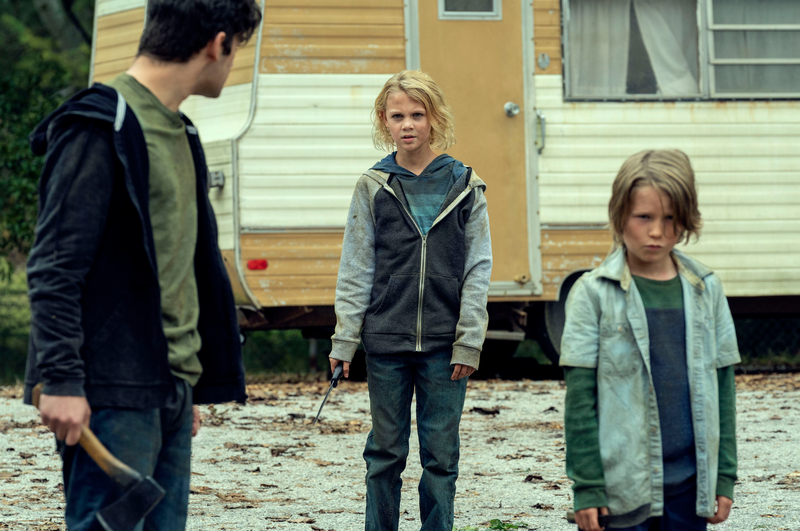 I’m not against Cailey Fleming’s performance as Judith; I’m just not a fan of how she is written. She’s been made to be the most precocious of children in a way that tends to feel absurd. Her emotional intelligence seems far too high to take seriously, considering how she speaks with Daryl, Negan, and Michonne, and I say that knowing I am critiquing a show about zombies. It’s watching these interactions that keep me from appreciating this a bit more, as I find it hard to be on board with the character. 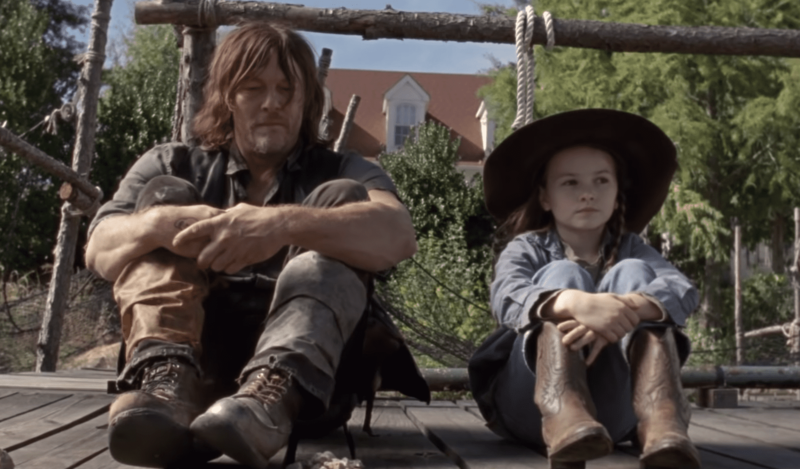 Additionally, she makes the poor mistake of going after Daryl’s group alone, which is the kind of dumb decision that seems exactly like something Judith would know not to do, regardless of how angry at her mom she may be. Focusing on the flashbacks is essential though, as it’s powerful to watch. The show knows the sort of dark territory it is getting into with this plotline, enough so to carefully edit around Michonne’s sword takedowns of the brainwashed kids who won’t stop going after her. 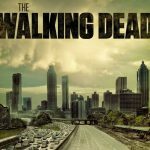 It’s rough stuff, but it makes understanding Michonne’s decision to close off Alexandria from everyone make a level of sense. By the end of “Scars,” it would seem Michonne has come around to opening the walls back up. It couldn’t come at a better time, as her excursion to the fair with Judith and Daryl’s group in tow means being around just as the Whisperer’s have discovered the Kingdom and likely mean to misbehave. Zombie Kill of the Week: Michonne’s mega slashathon to find Judith had some great decapitations all over. 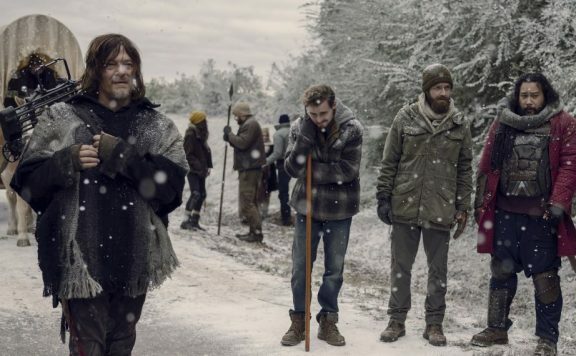 We are so desensitized to The Walking Dead violence that this episode could open on a fun enough song, while Michonne walks around, casually taking out walkers. “I’d do it all again…with different shoes.” – Connie seems to be getting along with everyone. “Crafty maneuver. Points for dexterity.” – Eugene probably regretted making that compliment. Oh Negan, giver of straight talk, how I need you to become more useful to this series or get the hell out of here already. I don’t know what the branding does, but yeah, that’s some killer imagery. So Michonne has the best of all the wagons, right? 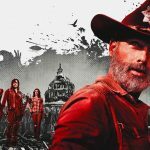 Thanks for reading and feel free to hear what me and a few other fans of the show have to say about the series on The Walking Dead TV Podcast.